Spiritual City Tour with Heritage & Culture, a package of 13 nights and 14 days, offers you a chance to explore the heritage and culture of India along with its spiritual side. During the tour, you visit well-known destinations of the country including Delhi, Jaipur, Agra, Khajuraho, Varanasi, Haridwar and Rishikesh. Some of the highlights of the tour include- visits to the Taj Mahal and Khajuraho temples, an early boat ride in Varanasi and evening Aarti in Haridwar. Late evening in Delhi, the capital city of India and assisted transfer to your hotel. Stay Overnight. On day 2, indulge in sightseeing of Delhi, including well-known tourist attractions like Jama Masjid, Red Fort, Gandhi memorial, India Gate, Parliament House. 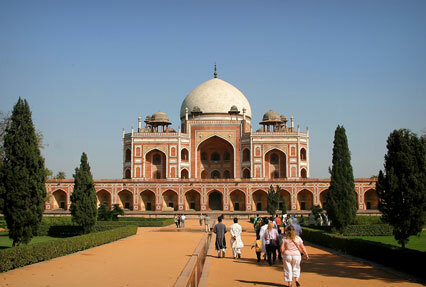 Have lunch and continue with the sightseeing covering the Qutab Minar Complex and the Humayun’s Tomb. Stay overnight. After morning breakfast, depart by road for Jaipur. On arrival, check-in your hotel. The rest of the day is free at leisure to interact with the locals, taste the lip-smacking local delicacies and explore the surroundings on foot. Overnight stay. 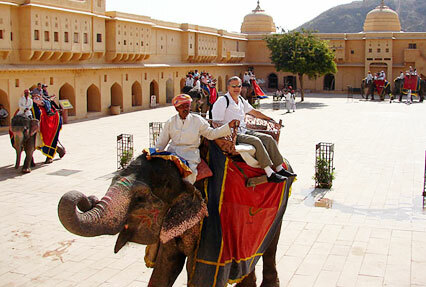 On the 4th day of the tour, begin sightseeing with a visit to the Amer Fort, enjoy an elephant or a jeep ride up to its entrance as the fort is perched on a hilltop. While returning to the main city, cross Jal Mahal. Later, visit the remaining tourist attractions including the City Palace Complex– comprising of magnificent courtyards, gardens and other buildings. Next in line is visit to the Royal Observatory at Jantar Mantar. Drive past the Hawa Mahal, also called the Palace of Winds. Back to the hotel for relaxing. In the evening, indulge in shopping at the popular local bazaars. Stay Overnight. After breakfast, depart by road for Agra. On the way, halt at the Old deserted Mughal town of Fatehpur Sikri covering Buland Darwaza, Jama Masjid, Palace of Jodha Bai, Panch Mahal and Birbal Bhawan. On reaching Agra, check- in your hotel. Spend the day at leisure- interacting with the locals, exploring the market, tasting the local renditions of Dalmoth and Petha. Stay overnight. On day 6, enjoy an early morning visit to the Taj Mahal- it looks even more beautiful in the rays of the rising sun. This, one of the Seven Wonders of the World, is a white-marble mausoleum built by the Mughal Emperor Shah Jahan, in the memory of his beloved wife Mumtaz Mahal. The other visit of the day is the Agra Fort, also known as the Red Fort – a Mughal architecture masterpiece. At the last, visit Itmad-ud-Daulah’s Tomb – fondly known as ‘Baby Taj’. Stay overnight. In the morning, get transferred to the railway station to board a train to Jhansi. On arriving in Jhansi, depart by road for Khajuraho. On the way, visit Orchha- a small town founded in the 15th century AD by the Bundela chief, Rudra Pratap Singh. You can visit the royal Chattris, Orchha Palace, Lakshmi temple etc. 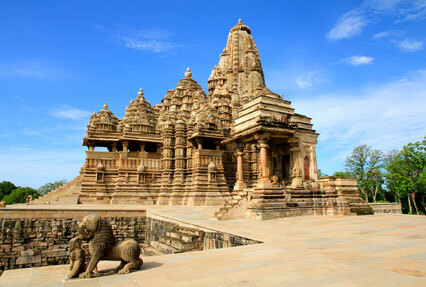 On arriving in Khajuraho, check-in your hotel. If time and energy permit, you can explore the surroundings on foot. Stay overnight. Morning visit to Eastern group of Khajuraho temples, comprising of the Parasvanath Temple, The Javeri Temple, etc. This is a UNESCO World Heritage Site, erected during the reign of Chandela dynasty. Later, get an assisted transfer to the airport to board a flight to Varanasi. On arrival, meet an IHPL representative who helps with assisted transfer to your hotel. Leave for a short trip to Sarnath, the buried Buddhist city. Visit Chaukhandi and Dhamek Stupa, the Sarnath Buddhist temple and the Museum- the oldest site museum of Archaeological Survey of India. Back to Varanasi for staying overnight. On day 9, enjoy an early morning boat ride in the holy river Ganga. Cruise along the bathing ghats, observe various religious rituals being performed. Back to hotel for breakfast. 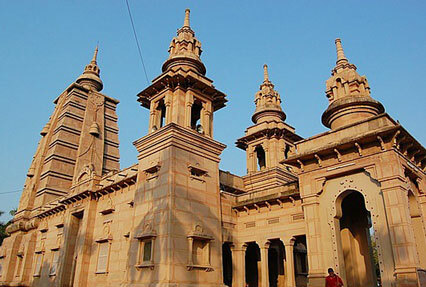 Later, explore Varanasi -visiting its well-known temples such as the Bharat Mata Temple and Durga Temple, other attractions liked the Banaras Hindu University including the Art Gallery and the Mosque of Aurangazeb, the Mughal Emperor. The evening is free for leisure activities, visit the local market. Overnight stay. The morning of day 10 is at leisure. Later, get on-time transfer to the railway station to board an overnight train to Haridwar. Arrival at Haridwar Railway Station. Get an assisted transfer to your hotel. 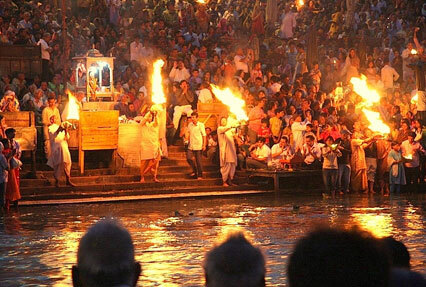 Later, take a dip in the holy water of river Ganga at Har-ki-Pauri. Visit the main temples such as Chandi Devi Temple, Mansa Devi Temple, Daksha Mahadev Temple and Bilkeshwar Mahadev. In the evening, attend the mesmerizing evening Aarti at Har-ki-Paudi. Stay overnight. Have breakfast, begin driving to Rishikesh. Upon arrival, complete the check -in formalities at your hotel. Afterwards, visit the popular ashrams, temples and other sites including Laxman Jhula. Stay overnight. In the morning, after breakfast, get transferred to the Haridwar Railway Station to board a train to New Delhi. On arrival, get freshened-up at your pre-booked hotel. Later, visit the famous markets for shopping. Post dinner; get transferred to the international airport to board a flight for your onward journey. Get transferred to the international airport to board a flight for your onward journey.